Oz Lotto, one of Australia’s most popular lotteries, has gained a reputation around the world for its big jackpots and pretty decent odds. With minimum jackpots guaranteed at AU $2 million (€1.25 million), Oz Lotto packs a lot of excitement into its weekly draws. But what else can it offer serious lottery enthusiasts? Operated by Tatts Group/the Lotto in Eastern Australia and by Lotterywest in Western Australia, Oz Lotto was first introduced on February 26, 1994. It was advertised as the country’s first truly national lotto, as New South Wales back then had not yet been included in any of Australia’s other lottery games. At its outset, the game was identical to another popular lottery, the Saturday Lotto, as it required players to choose 6 numbers from a total of 45. In October 2005, however, the format was updated, and the total numbers required for a jackpot win increased to 7. At this point, the game was often marketed as the Oz 7 Lotto, but in 2012 it was officially renamed Oz Lotto once again. Oz Lotto’s primary game mechanics rank among the simplest of all the lotteries we’ve reviewed: you choose 7 numbers from a range of 1 to 45. If the 7 that you select match the 7 that are drawn, the jackpot will be yours. However, there are two supplementary balls that are also drawn, and you’ll need to match at least one of these two to win three of the secondary-tier prizes. The prize you win will be no different if you match just one or both of these numbers; there are two just to increase your chances of winning. If you want a significantly better shot (for an additional cost) at winning the jackpot, you can play Oz Lotto using something called System Entries, which let you select as many as 20 numbers in a single line. With this option you’ll be playing all of the possible 7-number combinations that exist among the full range of numbers that you choose. While this feature is easy to take advantage of when playing Oz Lotto within Australia, its availability on online lottery sites varies. Although Oz Lotto caps rollovers at 25, meaning they can roll over a maximum of 25 times before they roll down to the secondary prize tier, there is no cap on the actual size of the jackpot. Therefore, it’s not unusual for the jackpot to grow to some pretty astronomical figures. Your chances of winning the Oz Lotto jackpot are 1 in 45,379,620, which are pretty good considering how big the jackpots can grow to. There are several big lotteries out there, including US Powerball (1 in 292,201,338) and EuroJackpot (1 in 95,344,200), that have tougher odds, but their jackpots can also be even bigger than those of Oz Lotto. Meanwhile, UK Lotto (1 in 45,057,474) has similar odds and prizes, Swiss Lotto has similar prizes and better odds (1 in 31,474,716), and Canada Lotto 6/49 has slightly smaller prizes but much better odds (1 in 13,983,816). The Oz Lotto draws only take place once per week on Tuesdays at 8:30 pm AEST / 9:30 pm AEDT in the city of Melbourne. Oz Lotto’s payout option is even more straightforward than its game mechanics: a single one-time lump-sum cash payment. Therefore, regardless of the prize that you win, you cannot choose to have your payments paid out to you on an annual basis. The government of Australia’s tax policy regarding lottery prizes is null, meaning winners get to keep every last cent to themselves. Whether or not your home country will have the same approach is something we recommend you look into if you’re playing from abroad, as every country has its own policy towards lottery wins. If you’d like to play Oz Lotto online, doing so is a breeze because many great online lottery ticket agents feature this popular game among their selections. What these types of companies do is send employees to go out and purchase official lottery tickets numerous times per day on behalf of their customers. Many of them will even scan each ticket so that you can access it easily, notify you automatically if you win a prize, and even deposit the funds into your user account. This really streamlines the process of buying lottery tickets from abroad and makes it as convenient as possible. Oz Lotto – Is It Worth Playing? 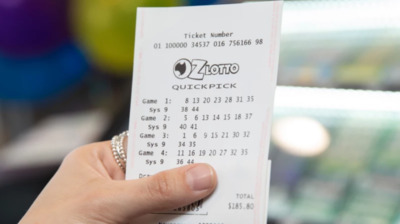 If you’re wondering whether to play Oz Lotto, maybe this will help: the game turns hundreds of people into instant millionaires every single year. While its odds aren’t the greatest in the industry, they are certainly pretty fair for the jackpots that the game pays out. Moreover, the 25-rollover cap means the prizes can keep growing until they reach sky-high, record-breaking levels. 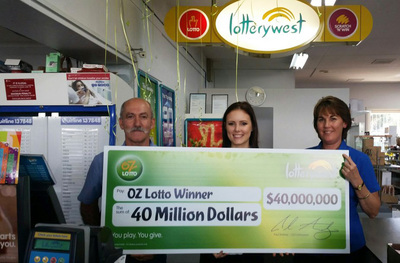 As a result, we believe Oz Lotto is a game that, at the very least, is worth playing once. GREAT GAME!! ONE OF MY TOP FAVOURITES TO PLAY ONLINE FROM HERE IN AUCKLAND AND WHILE I TRAVEL ON BUSINESS.